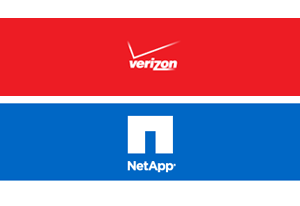 Verizon has agreed to deliver NetApp's Data ONTAP as a virtual storage appliance (VSA) for Verizon Cloud clients. The software will deliver on the promise of software-defined storage, adding additional deployment and management flexibility for clients implementing Verizon Cloud Compute and Verizon Cloud Storage. Under the collaboration alliance announced by the firms, Data ONTAP becomes part of a software-defined infrastructure management layer that adds NetApp enterprise-grade efficiency, data protection and manageability on top of Verizon's high-performance cloud infrastructure. "Our announcement with NetApp marks the first of many strategic relationships that we are forging as we build a dynamic ecosystem of enterprise-class networking, storage, and software-based capabilities that will run on top of our new Verizon Cloud infrastructure," said John Considine, chief technology officer of Verizon Terremark. "Teaming with NetApp reinforces our commitment to revolutionize how cloud-based solutions are delivered and will serve as a complement to traditional on-premises, hardware-based storage models. As more enterprises embrace the cloud, businesses both large and small will look to virtualization for greater functionality to enhance business operations." "NetApp is committed to working with Verizon and other leading service provider visionaries to unlock the value of our software in innovative software-defined cloud architectures that bring more choices and new value to customers," said Phil Brotherton, vice president of Cloud Solutions Group, NetApp. "As enterprises increasingly look to combine public and on-premises cloud resources to optimize IT efficiency and business flexibility, Data ONTAP provides a universal data management platform to facilitate data and workload movement across multicloud environments." IBM was awarded U.S. Patent #8,370,490 for its "Cloud Service Cost-Optimal Data Center Assignment" invention. IBM said its technique can dynamically allocate cloud computing data center resources based on an automated analysis of the most effective use of assets, leading to improved performance and cost-savings. Xtera Communications supplied its 100G optical transport platform to TIM Brasil for a new infrastructure deployment connecting three cities in the Amazon: Manaus, Macapá and Belém. 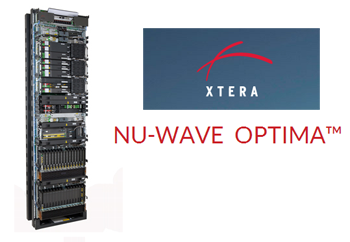 Xtera’s Nu-Wave Optima 100G optical networking platform was used for a new optical backbone network that was built using the tower transmission lines and power substations of the LT Amazon consortium. The TIM Brasil cables connect 27 cities in the states of Amazonas, Pará and Amapá. Given the challenging geography of this network environment, the lengths of 5 out of the 14 spans that make up this infrastructure exceed 200 km between sites where active optical equipment is positioned. The longest of these spans reaches nearly 260 km. "The construction of the first 100G backbone in the Amazon is an innovative and challenging project, connecting one of the most important cities in the Amazon region – Manaus – that will host 2014 FIFA World Cup. This project will bring many benefits to the regional population and reinforces the commitment of TIM for expanding and improving its network throughout Brazil," says Cicero Olivieri, Director of Fixed & Transport Network of TIM Brazil. “We are pleased with the performance of Xtera’s technology, highlighted by the long-span capability and the minimal number of regeneration sites throughout the network, and with their commitment to take on the challenges inherent to any deployment in the Amazon Region." Calxeda, a start-up developing ARM-based “EnergyCore” Server-on-a-Chip designed for a new generation of high-density servers, announce today that Frank Frankovsky, chairman and president of the Open Compute Foundation, has joined its board of directors. Frankovsky is also a vice president of infrastructure at Facebook, where he joined in 2009 after previously working at Dell and Compaq. Calxeda said it has worked closely with the Open Compute Project, joining as an official member in January 2013 with support for the OCP "Group Hug" common slot specification. Frankovsky had previously served as an informal advisor to Calxeda executives. Calxeda is based in Austin, Texas. Cable & Wireless Communications named Phil Bentley as its new CEO, replacing Tony Rice, with effect from 1 January 2014. Bentley was previously Managing Director at British Gas, the UK’s leading energy and services provider between 2007 and 2013. Rice decided to step down as CEO, ahead of the establishment of CWC’s new executive office in Miami, Florida, and will leave the Board at the end of 2013. Sir Richard Lapthorne, Chairman of CWC, commented: "CWC is entering a new phase. Following our recent divestments, we now have a business with a single geographic focus and a strong balance sheet and we are investing in growth areas of mobile data and high-speed broadband. I am delighted to have attracted someone of Phil Bentley’s calibre to lead the Company. Phil demonstrated his leadership skills at British Gas, combining strong operational capability with a real focus on customer value – experience which he will bring to CWC as we focus our business on a single region, and drive greater operational improvements."